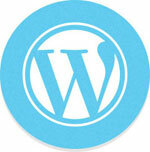 At Spicer Solutions we specialise in WordPress development. We having been making WordPress themes for the last 7 years. Because of our years of experience we can build cutting edge websites based on the WordPress framework. The benefits of the WordPress framework are: rapid deployment of new sites, robust and secure code, a very powerful set of tools, and easy expansion and customisation to your individual needs. WordPress is a piece of software originally developed as a blog. Over the years it has been expanded and is used by a staggering number of sites as their basis. A theme is the look and feel of your website. A design is created by a design agency and then a team of developers take the design and turn it into an actual site. Wordpress started in 2003. At the time it was aimed at being an easy to use self publishing platform. Now it's one of the most widely used frameworks in the web today. © 2014 SPICER SOLUTIONS. All rights reserved.